Now that I’m a mama, I appreciate my own mom so much more. How in the world was she so patient and forgiving when I was the sassiest teen ever? And I mean ever ever. She’s basically my hero. 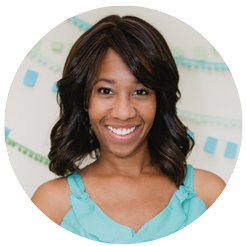 This year, I want to celebrate her in a vibrant, modern style. 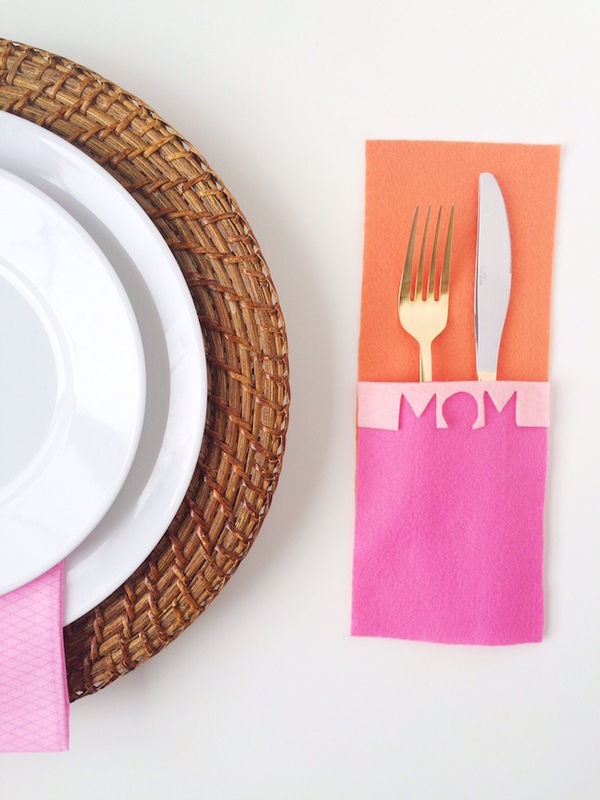 Enter this colorful, cutout DIY flatware mat that can hold her silverware at the table. 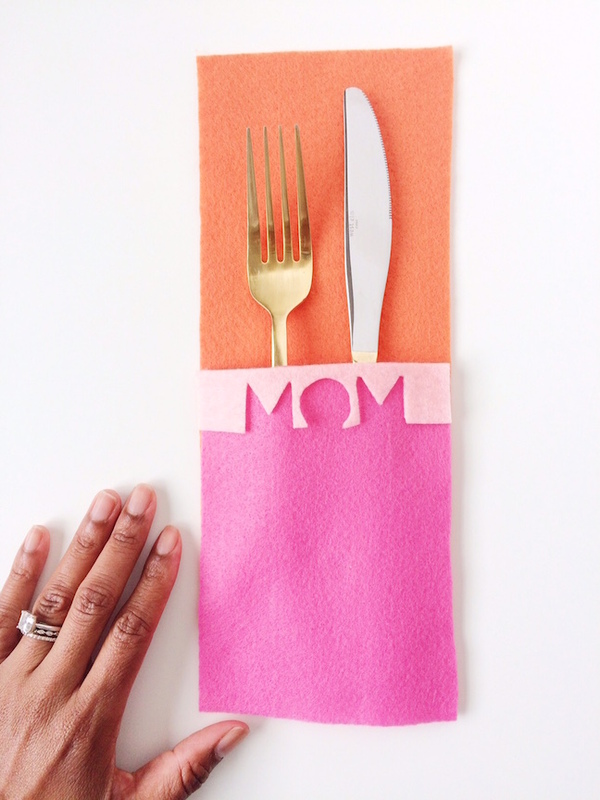 Happy Mother’s Day to all of you—now go out and craft up this punchy tabletop detail for your mom’s big day. 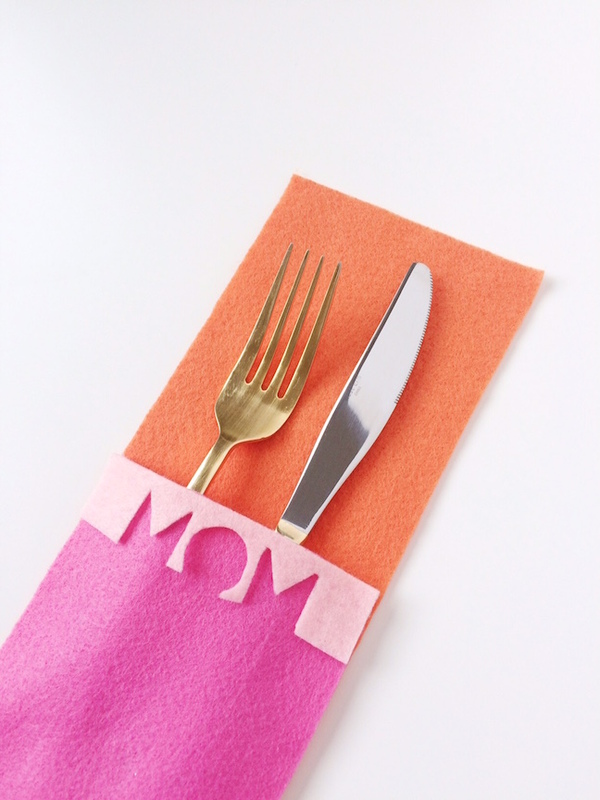 Step 1: Print our M-O-M flatware mat template, and cut out with scissors. Lay the template on top of your felt, trace around it, and carefully cut just inside the line. Repeat on the other felt sheet. Step 2: Align the front felt pocket with the bottom of the back piece, and adhere with hot glue. 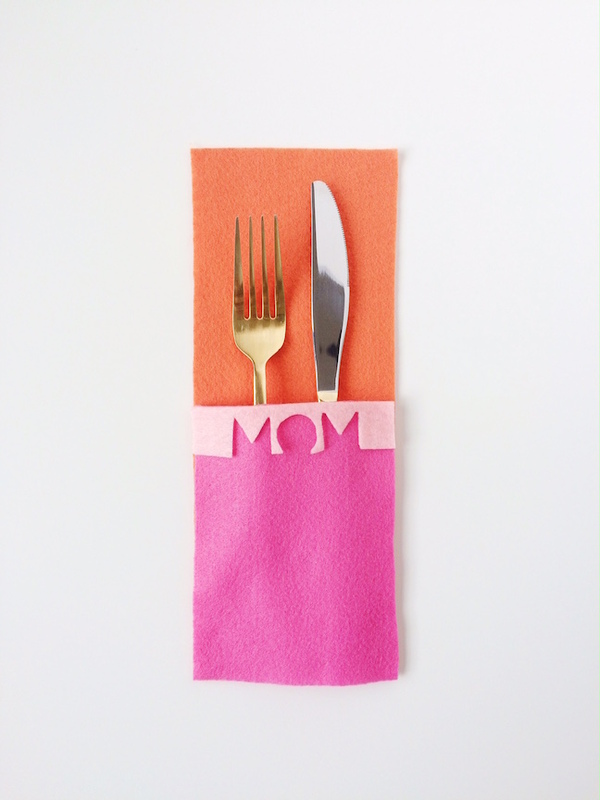 Cut out the M-O-M letters, place it along the top edge of the felt pocket, and adhere in place. Set aside to dry. Step 3: Insert flatware into the pocket.